How Does This Website Help Me If I am a Owner Operator? Once fully implemented, the North American Free Trade Agreement will impact cross-border traffic. The North American Free Trade Agreement (NAFTA) will allow Mexican commercial vehicles to travel in the United States if they meet all local, state, and federal requirements. A moratorium, imposed by the U.S. Department of Transportation (USDOT), has been in effect since December 1995. When the cross border moratorium is lifted, this means that Mexican commercial vehicle operators will be able to travel in the United States. Truck Driver Recruiting Software - Fleet Management Carrier Software can help streamline your driver recruiting process by providing you a cost effective solution that starts at pre-hire and continues through the lifecycle of a driver! In addition to customized integration and API & web services technology allow for a paperless process and management system in the cloud. Wideload & heavy haul industrial equipment trucking and oversize shipping company. - The Internet's Number one resource for heavy haul, wideload & oversize freight. Truck Drivers for hire! 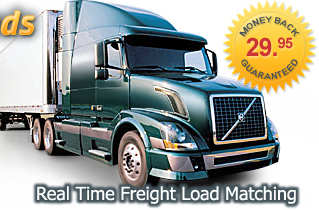 Wideload shipping is easy when you choose the largest heavy hauler shipping company on the web.